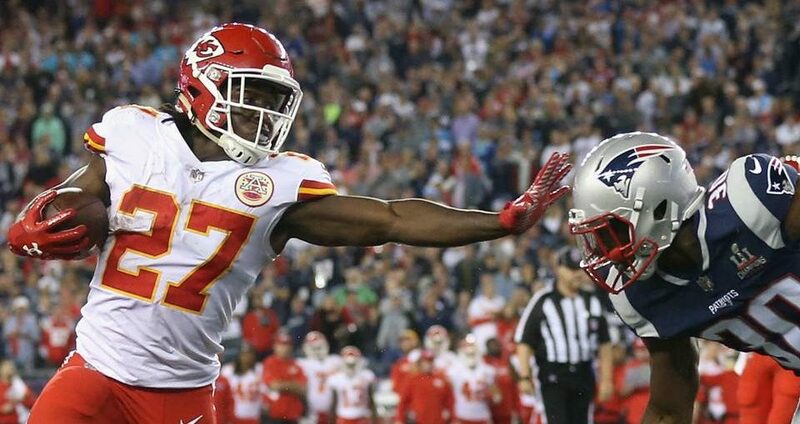 Last week was our debut for Studs ‘N Duds, a weekly article focused on fantasy football players you should target for the week. In our first attempt, we did okay, nailing our predictions of Ezekiel Elliott, Tyreek Hill, and Julio Jones. We did hit a bump in the road with Jameis Winston, who we predicted would be a Dud against the Bills. Turns out, he torched them. Regardless, our first week was a success and we are back for more. Joe Mixon: I mentioned him on the podcast, and for good reason. Facing a Colts defense that made T.J. Yeldon look like Walter Payton, Mixon should have his best game of the season. I see multiple touchdowns for Mixon in this matchup. Minnesota Vikings D/ST: WHAT?! A defense made the list? The Vikings play the Cleveland Browns this week. Enough said. Kirk Cousins: After a sluggish start Captain Kirk has turned on the afterburners. Over the last four games, Cousins has thrown for ten touchdown passes and has been averaging just over 300 yards passing per game. He will continue his hot streak this week against Dallas. If you are playing DFS, this guy is always mediocre in pricing so lock him into your lineups for Week 8. Brandin Cooks: At first glance, this matchup seems like a high scoring game between two good quarterbacks. What many people don’t know is that San Diego’s secondary is led by cornerback Jason Verrett, who has shutdown potential. While I think this game will light up the scoreboard, I don’t think the points come from Brandin Cooks. O.J. Howard: After a monster game in Week 7, I am begging you to not go chasing points in Week 8. Cameron Brate is still the team’s primary option at Tight End, and Brate is also a favorite target for Jameis Winston in the red zone. O.J. has the talent to be a great player, but it’s not happening yet. Melvin Gordon: The Patriots defense was getting torched to start the season, but they are slowly getting things back in order. In Week 8 they will keep Gordon in check, so look elsewhere for production. Josh Doctson: As a Cowboys fan I have seen many Redskins receivers burn through the Dallas secondary (e.g. DeSean Jackson), and I think that trend continues this week. Terrelle Pryor has disappeared this season, and it is about time for Doctson to emerge as this team’s #1 receiving option. If you are needing big play upside, Doctson could be in for a long touchdown this week. Alex Collins: This dude runs hard, but has yet to record a touchdown on the season. That changes on Thursday night. I am predicting that Collins will have his breakout game against the Dolphins.